Do you need a professional support in choosing appropriate products? You are not sure if would be better for you to purchase or rent the packaging? 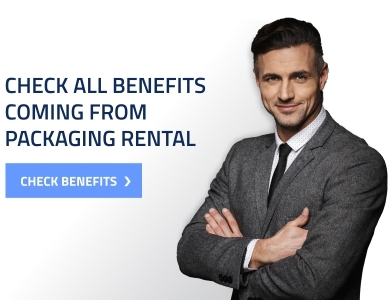 Or maybe, you want to resell used packaging and buy some new ones? Every day, we help our clients by advising the most profitable solutions regarding their supply chains. We have 30 years of experience and we continuously expand our knowledge by learning about new possibilities. If you need our support in terms of transport and storage products, you are looking for a specific service or both these things, you are in good hands. One company - multiple solutions Rotom offers many possible solutions for your supply chain - make good use of them! You will find the best logistic means and services with us. 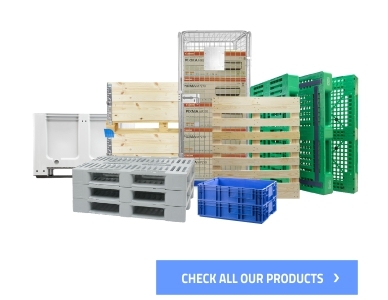 We have a wide range of products such as wooden and plastic pallets, pallet collars, rollcontainers, plastic and metal boxes at your disposal. You can choose from our standard products, but also ask us to produce customized ones. You can rent, purchase, have your packaging repaired or maintained. What is more, 2Return will help you by organising pooling to efficiently manage the returnable transport items. You can count on professional technical and logistic support regardless of what your needs and expectations are. You can trust the professionals. Rotom Group supports its European market clients for over 30 years. Our branches are located in 9 countries: the Netherlands, Belgium, Germany, France, Poland, Spain, Austria, Denmark and Portugal. Thanks to a wide range of products and services, we can support our clients activities in a numerous branches of economics. We use our knowledge and experience to broaden the scope of our services and design reliable products. We deliver over 10 million pallets to our clients every year. Rotom Group owns 15 branches across Europe. We employ over 400 people in 9 countries.